Your choice of footwear is very important. You don’t want to make the choice hastily. There is much to consider, and long distance hiking may require you to make different choices in footwear than a week-long backpacking trip would. Old-fashioned hiking boots are almost certainly the worst option available. When choosing footwear, keep a few things in mind. First, the weight of your footwear makes a huge difference when you’re hiking 20-30 miles per day. Light weight trail shoes, running shoes, or ultralight boots will not sap you of energy nearly as fast as full-blown, clunky hiking boots will. Second, footwear rarely lasts for more than 500 miles. That means you’ll go through 6 or 7 pairs by the end of your thru-hike. Keep that in mind when budgeting for footwear. Third, your feet will grow and swell. Everyone’s feet swell throughout the day – especially when you are active. But when you hike for 10 or more hours a day, nearly every day of the week, week after week after week – your feet actually grow in size. Most hikers experience a growth between 1/2 and 1 & 1/2 shoe sizes. This is especially true in the desert. Do not forget this if you plan to buy all your shoes at once. Buy them 1 size bigger than the actual size of your foot – no matter what the sales-person tells you. A safer option is to not buy all your shoes at once. Instead, leave your support person some money, and show them the exact make/model of the shoe you like. Then, when it’s time to replace them call your support person and tell them what size to buy. This way you can adjust your shoe size as you go. But make sure you buy your first pair 1 size larger than your “normal” size. Finally, your socks will fall apart faster than you could ever imagine. Every single resupply box should have at least one pair of new socks. Two or three pairs in each resupply box would be ideal, and would make for a happy hiker. Most hikers carry 3 pairs of socks. Some carry four. You should change your socks at least once a day (for example, at lunch time). This lets your feet dry out and helps prevent blisters. At 20+ miles per day, your socks will wear through pretty quickly. Non-cotton socks can be purchased in bulk at Costco, sometimes for as cheap as $10 for 6 pairs. Some hikers swear that wearing a pair of thin nylon socks under their normal socks helps prevent blisters. You may consider trying that if you are blister prone – especially in the desert. You don’t need to buy expensive “outdoor” socks like the ones found at REI. Not only is that unnecessary, but it’s also likely to be cost-prohibitive. Any pair of polyester or spandex socks will work fine. Few things beat putting on a fresh pair of socks on the trail, so be sure to send yourself at least one pair of socks in each resupply package – you wont regret it. Until recently, if you were going on a hike through the backcountry then you were going to be wearing boots. Period. Wearing shoes was seen as being unprepared and unsafe. But times have changed. Trail shoes – and even running shoes – are now viable options for backcountry travel in many situations. Shoes and boots each have their pros and cons. Sometimes one is more appropriate than the other. Hiking boots provide very firm ankle support, strong toe protection, and a firm build. But they are heavy, expensive, stiff, and tend to cause more blisters. So, when do their pros outweigh their cons? Notice that few of the above conditions are experienced by the average Pacific Crest Trail thru-hiker. This is why few thru-hikers wear hiking boots on the Pacific Crest Trail. Of the hikers that do choose to wear boots, most of them choose ultralight boots. Ultralight boots are made of much thinner material, last for about 500 miles, and usually cannot be resoled. But they are much lighter and more flexible than traditional hiking boots. If you decide that you need more ankle support than a pair of shoes can give you, you may look into ultralight hiking boots instead of traditional hiking boots. Shoes are lighter, breathe better, dry faster, are cheaper, tend to cause fewer blisters, and are often more comfortable than hiking boots. But they lack ankle support, they don’t protect the toes well, and they cannot be resoled. So when do the pros outweigh the cons? Notice that these are the conditions are most often experienced by Pacific Crest Trail thru-hikers. That’s why most thru-hikers wear shoes instead of boots. The two most popular types of shoes among thru-hikers are trail runners, and running shoes. Most shoe-wearing thru-hikers wear trail runners (or trail shoes), but running shoes are popular amongst ultralight hikers. Trail runners weigh more, but are more durable. They are designed to help keep dirt, sand, and rocks out of the shoe. They don’t breathe as well as running shoes, but they have out-soles designed for better traction on the trail. They also tend to have stronger lacing systems than running shoes. Running shoes tend to be lighter, are designed to breathe better, have more cushion, and are more flexible. But they aren’t designed to keep dirt and rocks out. If you choose running shoes, you may also want to wear a pair of lightweight gaiters. Running shoes dry very fast after river crossings, but their out-soles are not designed to provide traction on dirt trails. For this reason they tend to slip more and may require more caution on mud, fallen trees, wet rock, etc. 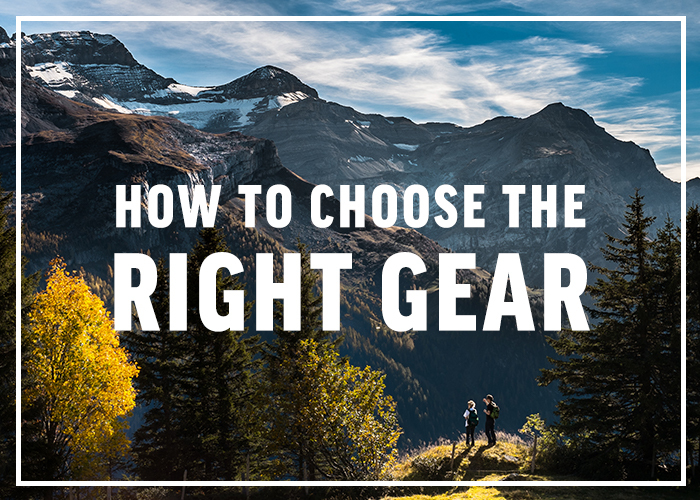 Like all your other gear and clothing choices, there are many options that work. The best way to find out what’s right for you is to do a test hike. Cheapest options: Costco often sells trail runners and running shoes very inexpensively. Keeping your feet dry while hiking in the rain is almost impossible. Anything waterproof enough to keep the rain out will trap the sweat in – no matter how much “wicking” power it claims to have. But that doesn’t stop people from trying. So here are some of the ways you might try to keep your feet dry. Water proof socks. Water proof socks, such as SealSkinz Water Blocker socks, work well for many applications. Long distance hiking is not one of them. They simply weren’t designed to stand up to the kind of abuse a thru-hiker puts them through. Besides wearing down and losing their waterproof properties, they also don’t wick well enough to keep up with a hikers sweat. Hikers’ feet get hot – especially when wrapped in neoprene – and waterproof socks just cannot keep up. Finally, the socks are thick and make for a tight fit in your shoes. Grocery bags. For long distance hiking, plastic grocery bags work about as well as waterproof socks. They are much cheaper, and a much lighter. But they too wear through and don’t let the feet breathe well enough. Gaiters. Waterproof gaiters work very well, but they aren’t perfect. 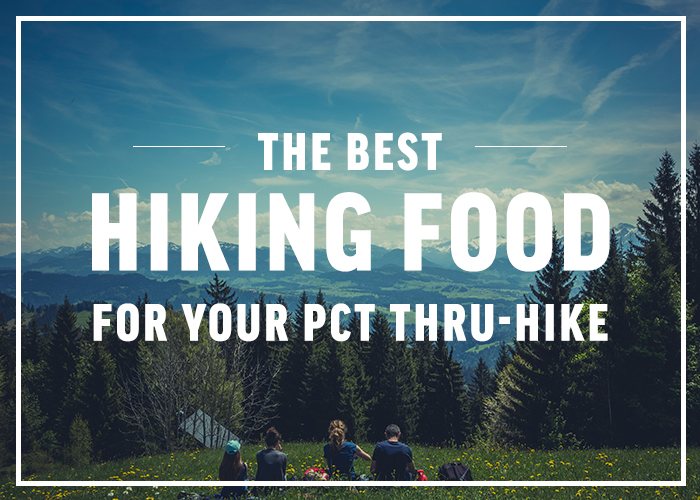 Most PCT hikers wear shoes, or some kind of lightweight boot that isn’t waterproof. Water still soaks in through the side of the shoes and just above the toes. So walking through tall wet grass leads to wet feet in spite of the gaiters. In short, you can try to fight it – and you might even have some success. But the water will eventually win. When it does, keep a positive attitude and remember – a day with wet feet in the backcountry is better than a day with dry feet in the city. Gaiters prevent things from falling into your shoes. Imagine how annoying it would be to have to stop every half mile to remove rocks from your shoe. Every half mile for 2,600 miles. Uhg. Gators solve that problem, and most experienced hikers wear them. Simblissity Leva Gaiters are ultralight gaiters designed for long distance hikers. To learn more about Simblissity Leva Gaiters click here. Dirty Girl Gaiters offers gaiters for men and women in different colored, awesome prints. It’s a cool way to spice up your trail clothes, and the their prices are competitive. They are designed to fit over running shoes or trail shoes, and are also very light weight. To learn more about Dirty Girl Gaiters click here.